Home » Health A-Z » Can Pneumococcal Vaccines Keep You Safe During Winters? Can Pneumococcal Vaccines Keep You Safe During Winters? Pneumococcal disease, a bacterial infection of the mucosal lining of lungs, is caused by Streptococcus pneumonia. The same bacteria are responsible for causing severe infections of blood (bacteremia), and the lining of the brain and spinal cord (meningitis), to name a few. These diseases are more likely to spread during the cold weather, owing to the drop in the immune levels and an increased likelihood of infections. Vaccinating beforehand, thus, decreases the probability of their occurrence in a population. Adults above 65 years of age and young children below two years of age are known to be at a higher risk of contracting the spectrum of diseases being caused by this particular organism. What are the different types of pneumococcal vaccines available? Pneumococcal vaccines are available in two types- conjugate and polysaccharide, depending on the type of infection prevalent in the given population. Whereas the polysaccharide type of vaccine provides immunity from 23 types of infections. The conjugate vaccine is a major advancement in achieving resistance to a larger spectrum of infection. 1. Adults above 65 years of age. 2. Children below two years of age. 3. Adults in the age group 19-64 years, who smoke. 4. People with chronic respiratory illness, such as asthma. 5. People who are immune-compromised (suppressed immune systems), and those suffering from HIV infections. 6. People inhabiting the pneumonia-prone areas, such as nursing homes, hospitals and old age homes. Each category should be immunized before the onset of the winter weather. A booster dose of the same is required to be administered after 6-12 months of the first dose. A minimum time interval of 8 weeks is required between the two doses, as the first dose requires about 2 to 3 weeks for generation of adequate levels of antibody in the body. Why getting vaccinated is so important? 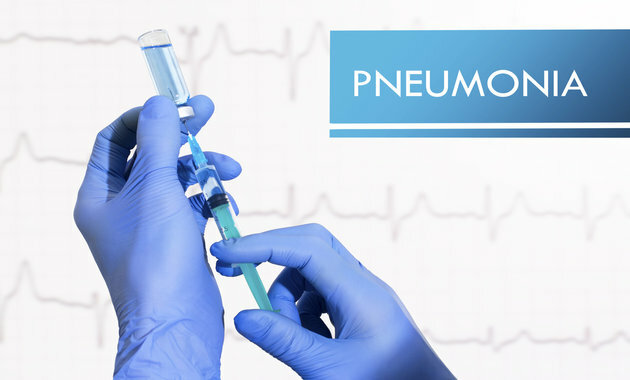 Pneumococcal vaccination has shown a reduced rate of infections to pneumonia and related diseases by about 95%, as per the results of clinical trials undertaken in a larger group. Regular and timely administration of each of the doses as part of the vaccination program, from an early age itself, ensures appropriate antibody levels in the bloodstream of the patient, thereby safeguarding the health of the person for its entire lifetime. What can be the possible reasons for reluctance towards pneumococcal vaccination? Though these vaccines are generally safe, mild side effects of pneumococcal vaccines lead to skepticism about their effectiveness and efficacy in a population. – While they are believed to benefit against pneumococcal disease, it provides inadequate protection against the group of non- bacterial pneumonia. The effectiveness of the vaccine is only 45% against non-bacteremic pneumococcal infections in adults. – People who are allergic to pneumococcal vaccines can have life-threatening symptoms if administered with the same. Pneumococcal vaccines are proven ways for a secure and a healthy life, free from pneumonia and related diseases. Besides protecting the individual, it reduces the chances of transmission to those around, especially the ones with weak immune systems. Avoiding vaccination though might be a welcome step to a particular infection, making it a fatal stride. Common Myths About Prostate Cancer Busted!